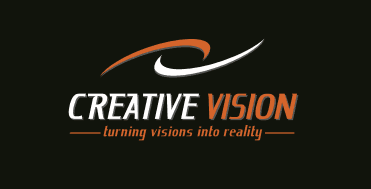 Solutions - Creative Vision Partners, Inc. The competitive arena for hotels is fierce. Hotels are now strengthening their arsenal of marketing tools to attract a more affluent clientele. This branding effort has at its core the placement of elegant visuals to promote the hotel offerings on a platform of fashion and lifestyle. The CV team members are experts in the hospitality industry and we are continually creating promotional new solutions for our hotel partners. The name of the game in 21st century clubs is immersive design. A club’s surroundings have become multimedia storytelling solutions that transform club patrons through layers of color, video, sound, and advanced materials technology. Creative Vision has expanded the possibilities of print media with the use of translucent materials, floating video imagery and 1080dpi graphics on any surface! Have you seen the latest technology in menu boards and menu designs? CV places in your hands over 500 options for presenting your food and beverage selections. We integrate fine art techniques and discriminating design style to elevate your brand to connoisseur status. Now you can evolve your venue within a manageable budget at never before seen impact-per-dollar. The Romans designed their cities as works of art. Each element was conceived as a well-crafted masterpiece of art, functionality, and architecture. Our Creative Vision team sees cities as canvasses of potential. We seamlessly integrate building facades and corporate branding sited for far, medium, and close viewing. Brand positioning is now spatial storytelling that can unfold throughout entire city blocks. The Creative Vision Urban Intervention packages are turnkey value adds that can be masterminded early in the design phase of a project or visual amenities that become key components of remodeling investments. When in Rome urbanize as the Romans Do! CV has moved beyond trying to just catch people’s attention to a new generation of POP displays and outdoor signage. Let us share with you color techniques with metallic and iridescent finishes that jump out to shoppers. Get inspired to experiment with translucent layers of images for an updated 3d look. The name of the game is to be seen within an ocean of visual noise. Today’s corporate graphics leverage the best elements of ultra resolution wall mounted scenes and the utilization of environmental graphics. Our corporate clients can create a stylish atmosphere in conference rooms as well as a regal entrance statement in the lobby of headquarters. One of the biggest changes in digital print solutions is the flexibility to produce cost effective small runs as well as be able to distribute your packaging to an unlimited distribution network. CV has identified a variety of industry vendors that we have coordinated to act as your back end fulfillment for transparent deployment. You can now approach your channel partners with CV as your own scalable print engine of mass production.